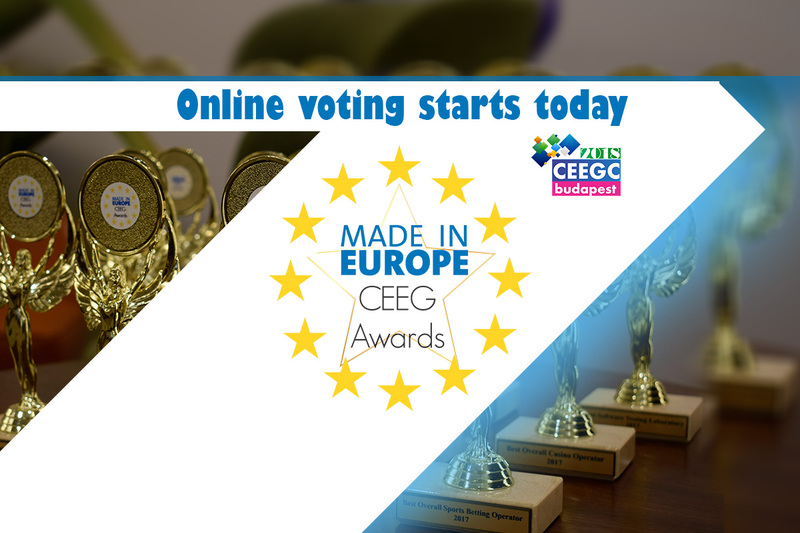 CEEG Awards Voting session is now Live – Check out the nominees and Vote! Budapest – 1 August 2018 – The third edition of the Central and Eastern European Gaming Awards (CEEG Awards) has reached one of the most interesting step, the online voting phase. The winners of each category will be decided by envelope style voting during the event and will be announced in the final session of the conference by guest speakers. But first, the shortlist has to be decided and it’s up to you and your colleagues to vote and help you favorite company reach the shortlist. The CEEG Awards celebrate gaming software suppliers, operators and service providers for their outstanding contributions to the online sector of industry in their respective fields. It is the most transparent awards in the industry. IWG (Instant Win Gaming) Szerencsejáték Zrt. The Central and Eastern European Gaming Conference and Awards will be held on the 25th of September at the Ritz-Carlton in Budapest. Make sure you grab your seat in time and attend the most prestigious boutique style gaming event which gather C-level executives yearly in one of Europe’s most visited city. Register here! 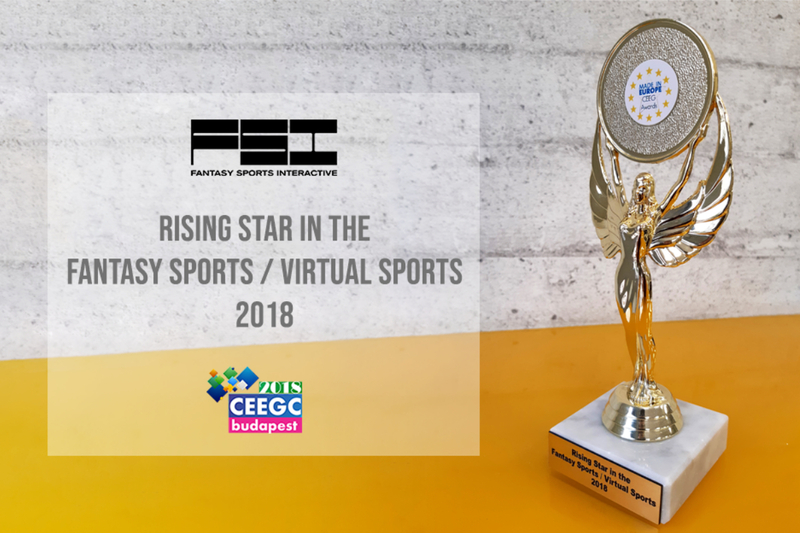 Fantasy Sports Interactive – FSI are proud to announce they have won the “Rising Star in the FantasySports / VirtualSports Award” at the CEEGC Budapest 2018! The CEEGC (Central and Eastern European Gaming Conference) Budapest is an annual boutique event for the iGaming industry, which was held for a third consecutive year on September 25th 2018. The organisers brought together a select team of successful professionals from the fields of the overall gambling and iGaming industry, as well as experts from the Regulatory and Legislation fields, for a series of insightful panel discussions. The panels focused on the current situation and Regulation steps happening in Central and Eastern Europe. A highly informative IMGL Masterclass TM took place as well, regarding the U.S Market, its evolution in the post-PASPA era and the role of the European Operations in the ongoing establishment and application of the required regulatory frame. The Conference was attended by a variety of high-level representatives from some of the most well-known companies in the online gambling industry and several experts from the Legal and Blockchain sectors. Some of the companies attending the Event were BetConstruct, BtoBet, Betsson, NetEnt, SBTech, Tom Horn, iForium, Play’n’Go, Altenar and FederBet. The Committee decided based on criteria indicating the companies’ outstanding contributions to the online sector of industry in their respective fields. Fantasy Sports Interactive competed with other Fantasy and Virtual Sports Software companies in an online voting phase between 1st and 31st August 2018 and managed to get shortlisted in both Categories. The final winners of each category were decided by envelope vote, casted by the CEEGC attendees. FSI was represented by the company’s Marketing and Communications Manager, Maria Arnidou. The Fantasy Sports Interactive team greatly appreciate their peers’ support and look forward to presenting more of their work to the industry. “We are proud to receive the CEEGC Rising Star in the FantasySports / Virtual Sports Award. We would like to thank our team, for bringing the company’s vision to life, the European Gaming Events for hosting us and everyone who kindly supported us with their vote, from the very beginning and during our journey from the nomination, to the shortlist and to this award. We’d like to congratulate our worthy fellow-nominees and let everyone know we are committed to working hard and advancing further. We are looking forward to meeting you all at ICE 2019!”. FSI have been working on Fantasy Sports since 2013. They aired a beta version of their proof of concept B2C site, Bet4theBest, in 2014; they officially launched with Bet4theBest in the UK in 2015 with an extended Marketing Campaign both in Digital and Traditional Marketing and former footballer and pundit Jermaine Jenas as brand ambassador. After gaining hands-on experience both on B2C handling and marketing, they proceeded with founding Fantasy Sports Interactive; a B2B Fantasy Sports Software House offering a complete and fully customizable range of fantasy sports solutions. Budapest – 28 September 2018 – The 2018 CEEG Awards Ceremony took place on the 25th of September at the Ritz-Carlton Budapest and was once again embedded in the official agenda of CEEGC Budapest. The winners of each category were announced after 2 months of excitement, which included online voting, shortlist creation and the final vote of the attending delegates of the event. 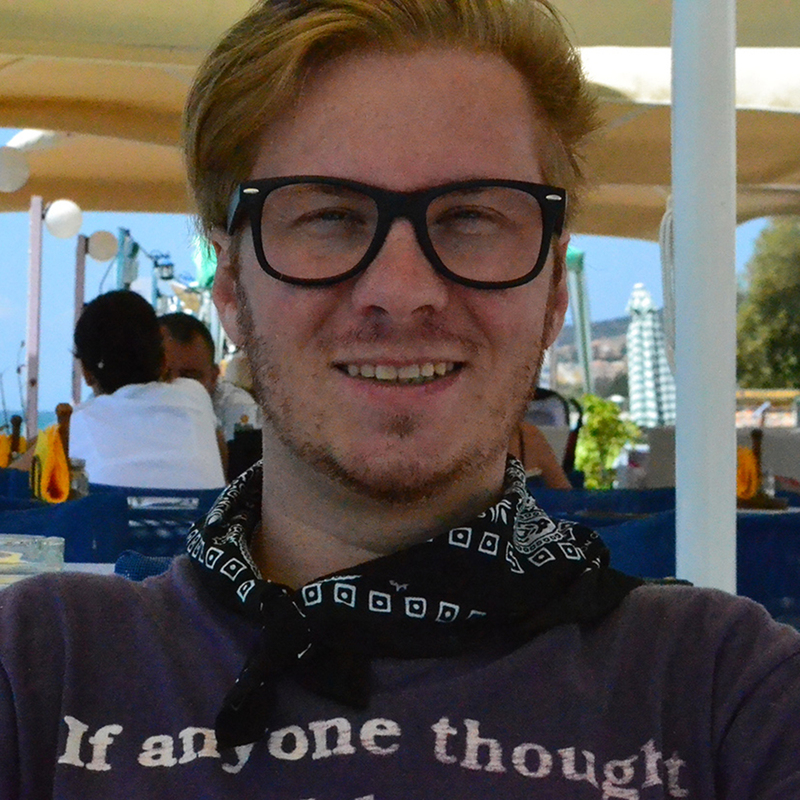 Johan Törnqvist, CEO at Play’n GO: “We are very active in this region and, as with all areas we work, we have dedicated ourselves to creating the best content we can and making sure we give the operators what they need to best entertain their players. Andrew Cochrane, Chief Commercial Officer of SBTech: “We are very proud of our strong relationship with the region, with two of SBTech’s biggest offices based in Bulgaria and another major operation in Kyiv. Just this month we opened a state-of-the-art sports-themed office in Sofia and we have a number of key clients in the region. I look forward to growing our presence in Eastern Europe still further over the coming years. Domenico Mazzola, Comercial Director at Altenar: “We are thrilled to receive the award for Best Sports Betting Innovation this year. Thanks to the CEEGC for recognising the power of innovation to shape the future of online sports betting”. The official Post Event Press Releases is scheduled to be published at the beginning of October with a full overview of the happenings and the content that was shared by the top experts of the industry at the event. We would like to thank once again the event sponsors and media partners for their support! Pre-Register for the 2019 event here! 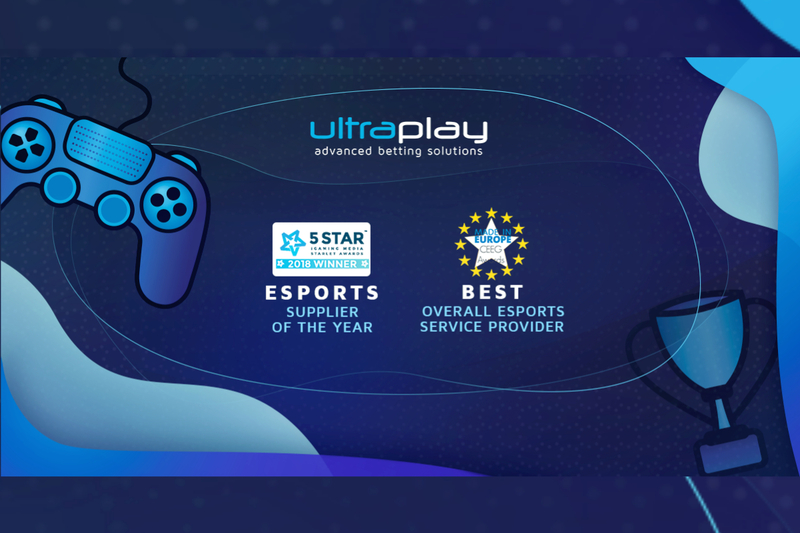 UltraPlay has been awarded as the best eSports betting service provider of 2018 by Starlet Awards, organized by the 5 Star iGaming media and Central and Eastern European Gaming (CEEGC) Awards, held in Budapest. The two accolades came a week after the successful performance of the company during the key eSports event of the year – ESI London, where UltraPlay has presented its latest updates and insights from its advanced eSports betting suite during the exhibition and conference days. 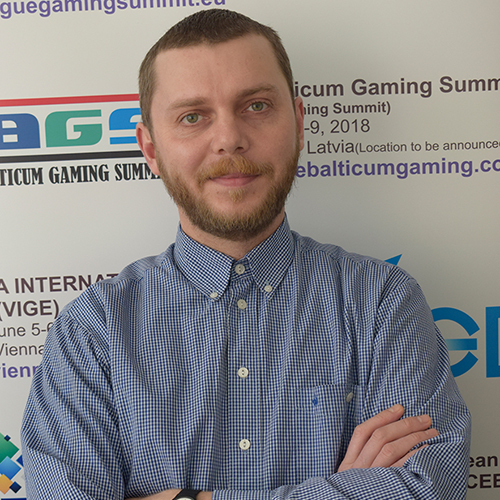 Having been at the forefront of the iGaming industry for more than 8 years now, UltraPlay has been creating and developing innovative concepts embracing the entire spectrum of the industry with its turn-key iGaming platform and betting solutions with a leadership position on the eSports betting vertical. The company’s eSports betting suite is used by the leading eSports dedicated brands and covers both established and emerging markets. The Starlet Awards celebrate the best providers in the B2B supply chain. Judging is conducted by a specifically selected panel of industry experts all with diverse experience and ideally placed to be able to decide which products and innovations are outstanding in their field. Offering the widest coverage of competitive games (25+), 3000+ events monthly as well as 1500+ live events a month and more than 50 markets, UltraPlay has been awarded for its leading position on the eSports betting service provision for 2018. 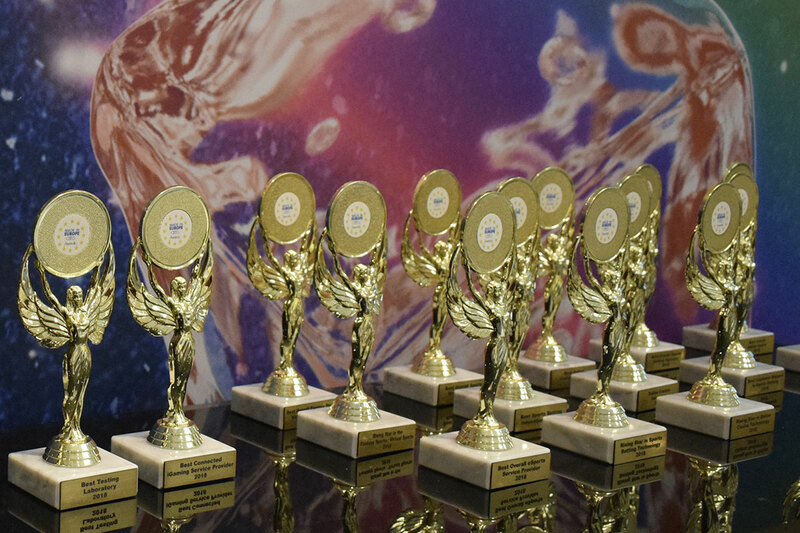 Celebrating gaming software suppliers with their outstanding contributions to the online sector, CEEG Awards recognized UltraPlay as the Best Overall eSports service provider of 2018 with the votes given both online and on-site, during the CEEG Conference.